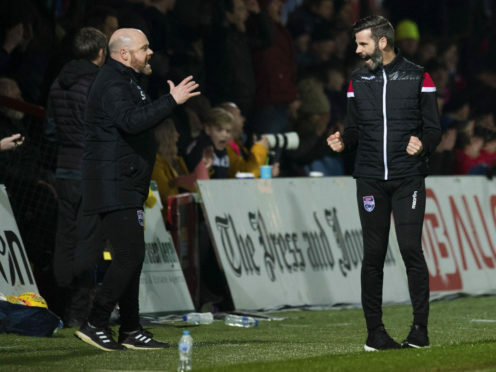 Ross County managers Steven Ferguson (L) and Stuart Kettlewell celebrate at full-time after the win over Ayr United. 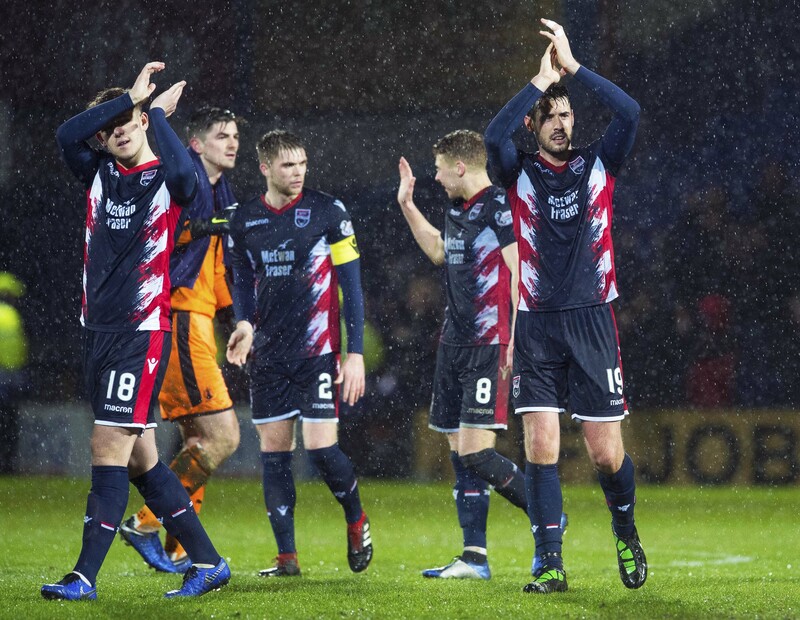 Rather than go and buy a Ferrari to get them from A to B, Ross County opted for the penny-savvy option in January. They fine-tuned the team into a well-oiled machine. Roy MacGregor’s backing of his home-town club is well-known and in the past, he has certainly not be shy in helping out when respective managers needed impetus in the winter window. However, in contrast to tonight’s opponents Dundee United, they threw out the manifesto of the past this year and decided what they had would be good enough. Co-manager Stuart Kettlewell said: “We’ve not had the ability to throw about ridiculous money in January. There’s been big changes at Dundee United, the number and quality of players they’ve been able to bring in. We never had those kinds of resources. But if you have that belief within your squad then that can be enough to get you through games. “Everything is in relation to your club. We’re playing Dundee United and it’s a bigger club than Ross County – one of the biggest in the country. In terms of us throwing money about and bringing in the wrong type of player – I believe you have to be the right type of player to come and ply your trade at Ross County. That continuity has helped County establish an 11-point lead in the Championship, which is some feat given the cut-throat nature of the division. Ross County co-manager Stuart Kettlewell. 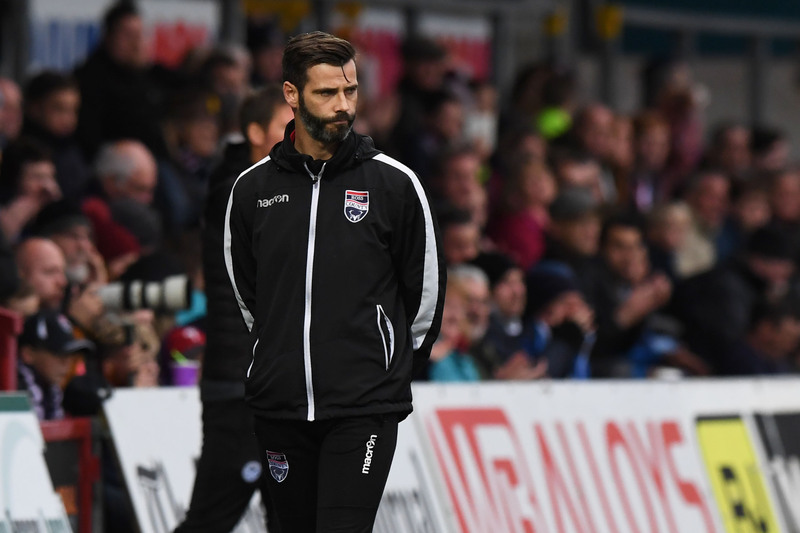 The biggest challenge for Kettlewell and fellow co-boss Steven Ferguson was changing the mentality of a side that had become too used to losing. He added: “Last season this club had got used to losing and that’s what your mentality comes, you are waiting for it to happen. We have tried to focus on the mentality of the players at the other end and change it from what it was like. “Teams who have been relegated often get a hangover. Some of the bigger ones than us who have come down have struggled, they haven’t competed in the league straight away like they were expected to. An issue they have had to deal with over the last few days has been Callum Semple, who was issued with a notice of complaint from the Scottish FA on Thursday in relation to gambling on football matches. Callum Semple (far left) came on in last Tuesday’s win over Falkirk. Far from hanging the young defender ought to dry, Kettlewell insists the onus is on the club to ensure he is well educated for the future. Kettlewell said: “He’s available just now and it’s matter we’ve been dealing internally. Callum will be punished for what’s happened but it’s an ongoing case and we have to see what the outcome is. It’s a bit of naivety from a young lad that’s maybe not educated enough on the dos and don’ts.